This premium tour provides transportation in new, full-size modern touring buses. Since we want your tour to be an enjoyable one, restrooms and air conditioning are standard. 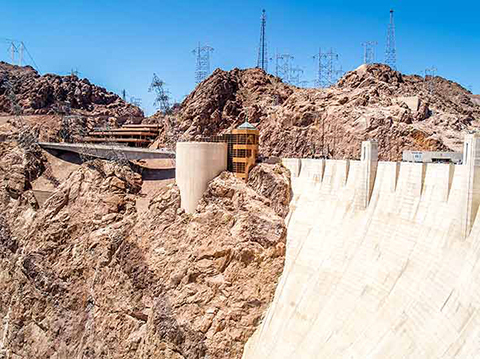 While traveling to the Hoover Dam you may learn about Las Vegas, Henderson (Green Valley), and Boulder City from our professional driver. We will also feature a video of the construction of the dam. 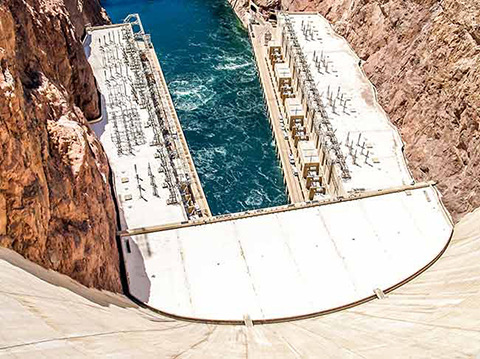 As part of your journey, you may walk over the newly opened Mike O'Callaghan–Pat Tillman Memorial Hoover Dam Bypass Bridge for a fantastic Hoover Dam photo. 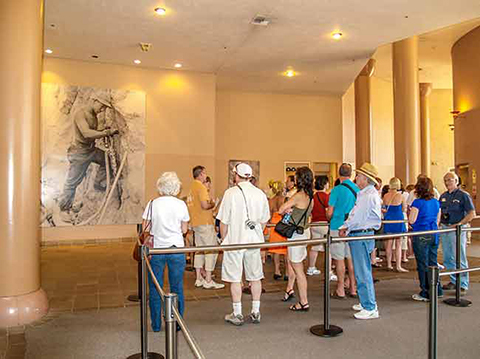 Once you arrive at the dam, you will have TWO FULL HOURS to see the theater, check out the exhibit rooms, observation deck, Visitor’s Center and museum. 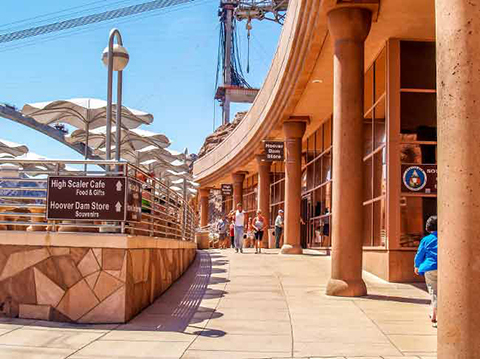 Or you may walk across the dam to the Arizona side, exploring the many works of art along the way. The photo opportunities are endless. Snacks and drinks are available for purchase in the gift shop.